BT is giving people across the UK the chance to go down in history and become the new permanent voice of the iconic BT Speaking Clock through a nationwide competition to mark the Clock’s 80th anniversary. Today, around 12 million calls a year are still made to the BT Speaking Clock by dialling 123, especially on Remembrance Day, New Year’s Eve or when the clocks go forwards or back. Even Big Ben is set by the BT Speaking Clock, which is accurate to within 30 microseconds and has been keeping Britain on time, ticking away 24 hours a day, seven days a week since 24 July 1936. 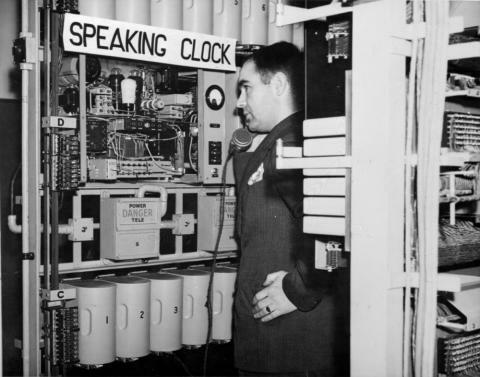 Anyone 10 years and over can enter the competition to become the next voice of the BT Speaking Clock. The competition is being run in partnership with BBC television programme The One Show. Aspiring voice artists should visit the special website at: www.bbc.co.uk/theoneshow where they will find full details of how to enter. The website will be open for entries until 10pm on Monday 29 August 2016. The winner will become only the fifth permanent voice of the BT Speaking Clock in its 80-year-history. They will be announced by BBC’s The One Show and their voice will go live in November this year. Previous winners have been much in demand by the media and for voiceovers and personal appearances. The current voice of the BT Speaking Clock, Sara Mendes da Costa, who will be one of the judges, said: “I’m so honoured to have been the voice - only the fourth permanent voice in history - and to be part of such an iconic service. *Calls cost 45p per minute from BT residential lines. 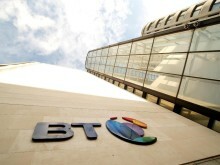 Mobile and other providers’ costs may vary and not all providers use the BT Speaking Clock. Total donations to Children in Need will be capped at a maximum of £50,000 during the competition period. Jane Cain was the first voice, winner of a Post Office “Golden Voice” competition, and used from 1936 until 1963. Pat Simmons, a London telephone exchange supervisor, became the second voice from 1963 until 1985. The third voice belonged to Brian Cobby who became the first male voice at 11am on 2 April 1985. An actor by profession before he joined BT as an assistant supervisor at a Brighton exchange, Brian was selected from 12 finalists in BT’s competition on 5 December 1984. He was also recorded as the voice of “5-4-3-2-1 Thunderbirds are go!” for the famous 1960s Gerry Anderson TV series. The fourth and current voice is Sara Mendes da Costa from Brighton and Hove. She became the BT Speaking Clock voice at 8am on 2 April 2007. Sara won a BT competition during 2006 to find a new voice from the public, which had almost 18,500 entrants.